FABRIC BUNTING VINTAGE WEDDING FLORALS FROM £3. 10cm,15cm,20cm,25cm & 30cm sizes - multi-buy discounts! 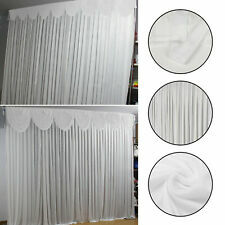 Type: Backdrop Curtains. 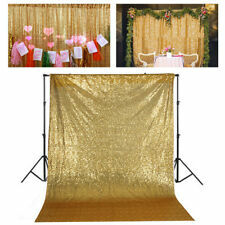 1 x Backdrop Drape Curtain. Material: Cloth Main color: White. We will be glad to reply and help you to solve any problem. We will try our best to solve the problem for you. From pew ends to chair backs, the possibilities are endless. These burlap chair sashes are handmade with 10 oz quality burlap and lace with a rustic feel. this burlap and lace sash is the perfect addition to your shabby chic or rustic wedding. Wedding Hanging Floral Hoops Chandeliers. Simply Add Your Own Flowers! Bridal Collection by David Tutera, Wedding Designer to the Stars, presents Turn ordinary Wine or Champagne Glasses into elegant centerpiece table decorations. Create your own festive table decorations with these elegant adjustable wrap shades. Material : Acrylic Crystal. Grade A acrylic. Main Colour : Clear. Type : Hanging Decoration. Unit Type : Unit. Unit Quantity : 30. Clear color. Own R&D and design teams. Weddings are truly magical occasions, but planning them can be daunting. Once the date's been saved and the venue's booked it's time to focus on the details. Whether you've blown the budget on a huge venue, or have opted for a more intimate setting, there are several things you can do to customise a venue for your special day. The decorations you choose can enhance your choice of venue, or dramatically transform the space depending on your preference. From the little details, like table decorations, through to hanging and chair decorations, there's something to suit every style, taste and budget. Traditionally weddings are white affairs, but you shouldn't be afraid to add a splash of colour to your venue. Whether you're matching elements to the bridal party clothing, the flowers or you just want to choose your favourite colour, consider decorations in bold reds, blues, pinks, silvers and golds. When you enter an event space, hanging decorations are one of the first things you'll see. 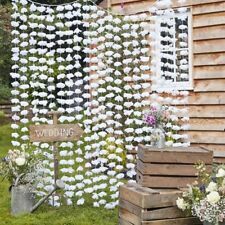 Paper decorations such as hand-cut bunting, tassels and pom poms can really make an impact, and they don't have to break the bank. Draped fabrics combined with garlands of beads can add instant luxury to a space while giant hearts and balloons will add instant fun. Like with all good dinner parties, your table will be your pride and joy, with a wedding breakfast is no different. You'll want your table decorations to blend with your theme and reflect you and your partner's personalities. Have your choice of everything from satin table runners and wedding place cards to fairy lights and candle holders. One of the most popular items that can add instant sparkle is table scatter and confetti. Whether you'd prefer paper lettering, wooden love hearts or glitter, it's these small touches that your guests will remember.